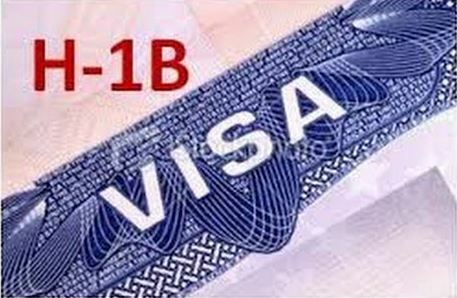 The H1b visa has made it to the news through the recent halt to Premium Processing. The impact has created an opportunity for analysis that will hopefully create some positive changes for the H1b visa (usually referred to as H1, but not to be confused with the H1A). In this article we will offer you a perspective from a businessperson’s point of view in the hopes that it will create a conversation that leads to positive changes. Although it is easy to make broad brush strokes that change the system, the time has come for a mutli-dimensional analysis of the H1 visa so that the appropriate changes can be made. The first thing I would do, states Steven Riznyk, CEO of San Diego Biz Law, a business & immigration law firm, is carve the H1 visa up into different groups, each with its own set of narrowly defined regulations, or alternatively, split it up into a number of visas. Hypothetically, let’s say either Microsoft or Apple (hereinafter*company) are working on a high-level project that competes with the other operating system and require someone with a certain rare skillset. If that person is not available in the United States, they will have to open the demographic search to the entire planet to find the right person; that will require an H1 visa application. As projects at this level require collaboration amongst a group of people, it cannot be outsourced, there are no choices. Challenges of this nature are painful for a business. First, if they apply for the H1 visa, they have to wonder whether the person will be one of three who wins the H1 lottery. Second, even if that applicant prevails, the company will have to wait until October 1st for that skillset. Third, even if the person prevails on the H1 visa, and starts on October 1st, that person requires training and has to be brought up to speed. Fourth but not last, after all that, the person may not be the right choice for a number of reasons, states Steven Riznyk. In the interim, while waiting until October 1st, what is the company to do with the project? Does our tech sector wait for rivals in other countries to beat them to the punch? Does one company prevail over the other because they hired the last person in the U.S. who can do what it is they require? If one company loses over the other due to the unavailability of key people, their stock will surely suffer. The people who have money in their retirement accounts will be affected. If it is severe enough, people may be laid off. Houses go up for sale, and then the supply & demand curve kicks in; the house prices in that city will spiral downward, and so on. These are just a few aspects of the domino effect that occurs. On a smaller level, states Mr Riznyk, but a more direct and severe one, smaller and mid-sized firms suffer the impact faster. An example is someone who called his office just yesterday. The person is Italian and a brilliant architect who outfits high-end homes with marble floors, tables, and walls that are hand-designed with inlays that are works of art. He found a position with a company that was launching in 2 months time. The owner could not wait until October 1st and took a pass, however very regretfully. The owner is now relegated to hiring someone for her Italian-styled interior design firm who is not from Italy, or who is, but lacks the architectural and artistic skills of the applicant. She will settle for second best because that is the only choice she has: the leftovers. The point Steven Riznyk is making is that the H1 visa, for business purposes, needs to be effective in getting someone to the United States rapidly. Businesses cannot wait 6-17 months for key employees; they need them yesterday. From this point of view, we could have a division of the H1 visa called H1RN (for claritys sake only) for Right Now. These people could apply with Premium Processing and get in immediately (ie in under 2 months time). This would have to be a skills-based visa, wherein special circumstances could be plead as one of the base requirements. This could work for Microsoft or Apple, as well as for the interior designer. The CIS could ask a premium for the filing fees for this special consideration, and it would compensate for the extra 15 minutes it would take to determine the viability of this type of application. They could also charge another filing fee that would transfer it to another, less urgent category should it not be approved so that no time is wasted in reapplying. Another category is for doctors who have a 212(e) 2-year foreign residency requirement as a result of the J1 visa. One way they can avoid the foreign residency requirement is by working in underserved areas. This would be great for America as many parts of the country desperately require high-end doctors who frankly would find those areas too remote or even un-exciting to live in. Whoever thought of this was brilliant. The problem again, is that these doctors are competing with techs that are being outsourced for the very same slots. I would call this the H1MD for Medical Doctor states Mr Riznyk. This category in itself would have to be spilt into two sub-categories to cover the J1 persons and all other doctors and dentists. In the interests of being thorough, this category should perhaps have a third category covering personnel in the medical field who are not doctors or dentists. In this manner, the sub-category would be comprehensive when covering medical personnel of all types. A third category would be the H1TB for Technology-Based and a fourth would be the H1OP for Outsourced Personnel. The technology-based visa would be the visa that tech companies would use when they required people with tech skills and could either not qualify is H1RNs (Right Nows), or they had lesser skills. The H1OP would be for all of the consulting firms who are bringing people into the country and then outsourcing them. This is an area of much controversy. The H1b grants a visa to these consultants who often are programmers with no skills that are absent in this country and the competition they bring to the application process keeps high-level doctors and scientists out. With those major categories taken care of, the H1 visa is still responsible for many more potential jobs. The public for the most part thinks of it as a visa for tech-related positions, but the positions it is also responsible for includes, but certainly is not limited to: aeronautical engineers, as well as many other fields of engineering, mathematics, astronomy, physics, pharmacy, university and college education, writing and editing, accounting, management, economics, museum curation, music, and yes, law. Our country can prosper by getting the best and brightest people here, but not as the system stands; it is too slow and too disruptive on their (potential workers) lives. These other categories need to be grouped on their own, but definitely separated from the ones numerated above; even then it is still too broad a category, but much better than what we have now. The great advantage that we will have if we break down the H1b into separate categories is that we will be able to promulgate regulations for each of the categories with their own mandates, priorities, and requirements. In many ways, we can call these growing pains, which are a good thing. They mean America has grown, and therefore outgrown its older broader categories. We are standing on a more highly specialized work platform that has to cater to the needs of todays business world, not the world in 1990 when the category was created. We can no longer group all of the job positions into one visa, nor can share the same regulations across the board. Once this is resolved, our country will be in a great position to continue as a world leader, with the best and the brightest at the helm. Steven Riznyk is a business and immigration attorney who has been practicing for 29 years. He is an author and not only creates cases for immigration lawyers, he has been training them for decades in the complex areas of immigration law. His initial half-hour consultations are free and he can be reached at (619) 677-5727 or contact@SanDiegoBizLaw.com, stevenriznyk on Skype, or at http://www.myImmigrationAttorney.com.